Your organization’s events are an extension of your brand. What you display can showcase how your brand takes action and walks the walk, not just talk the talk. Our natural tendency is to display and market our upcoming events to increase participation, but a potential member might want to look back on what previous events you hosted to see how frequent your events were or what experiential benefits your organization would offer in your membership. It’s important to set up your website and widgets to speak for your organization. By doing this, you can peak the interest of your potential members and pull them in as new members. Rather than pushing your organization to potential members, let your organization’s brand pull them in. Let’s use an example – Your organization states that its mission is to build strong membership communities as a foundation for better professional communities. A potential member, James, is interested in joining a professional association that values a strong membership community. James wants to see if your organization is accountable to this and decides to look through your website. James takes a peek at your event calendar and sees all your upcoming events, but he notices that some of your future events haven’t determined a location and are not yet complete. To continue his search, he decides to take a look at your previous events. This is a great way to show off your past events to your potential members, giving them the opportunity to visualize the benefits of joining your organization and allowing them to recognize the value of their membership. It’s easy to set up – it really only takes one click in your event widget settings (we’re serious… the proof is below)! 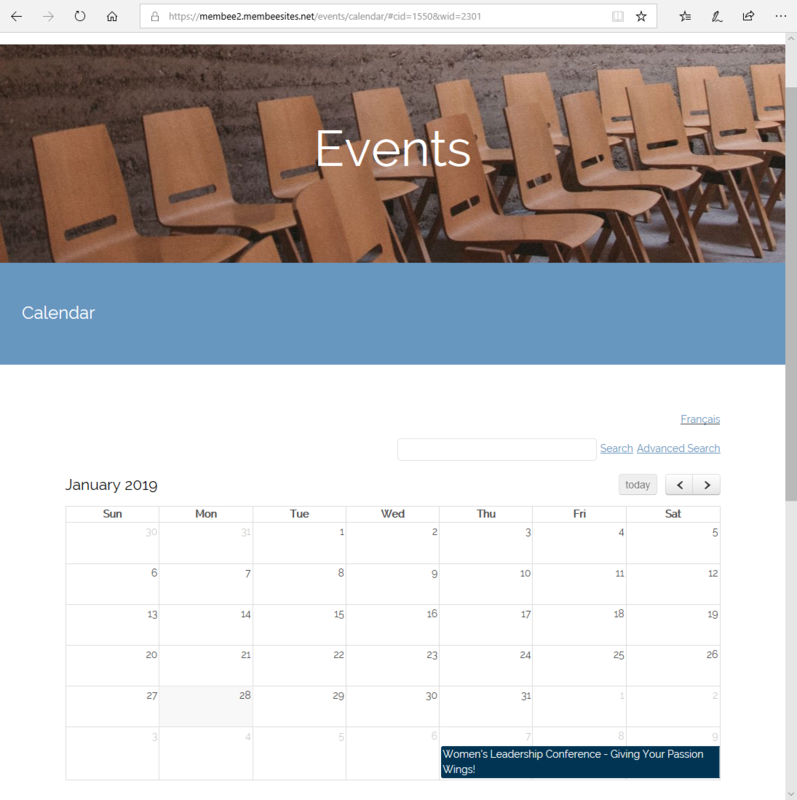 You can also customize how many events and/or months in the past you want to display and which layout you want the past events to display in – the calendar or the list layout. For an easy one-click setup and a high-value benefit, what’s there to lose! What About Your Existing Members? We can’t forget about your existing members too! Not only does displaying your past events benefit your organization and its prospective members, your existing members are also at a benefit! Your members have the opportunity to see what events they may have missed, look back at the dates of your past events, or have a moment to reminisce on the great events that happened in the past!